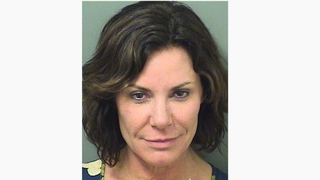 It’s been an exciting holiday season in Palm Beach, what with its part-time presidential resident coming home to roost, and Real Housewives of New York’s Luann de Lesseps getting charged with multiple felonies there, allegedly for being intoxicated and violent toward a cop on Sunday. That latter item continues to unfold as Page Six reported on Tuesday that the reason De Lesseps came into contact with authorities in the first place is that the hotel she was staying at called them in after she and an unidentified male companion whom she used to date refused to vacate someone else’s room and return to their own. According to the police report, released Tuesday, Lesseps and friend entered Room 407 of the Colony hotel while a hotel worker refreshed her actual room, number 327. According to the report, after “multiple attempts to get both subjects to leave over a five minute period,” two cops arrived to find Lesseps with her friend Julie Olson, rather than in bed with an anonymous male. Both were reportedly drunk, and the rest is history! New Yorkers, stay out of Palm Beach!! It’s hard to believe it’s been a year since Carrie Fisher died. I suppose that’s because I remember the day so vividly—the shock, and disbelief, and resignation. And now suddenly it’s time to watch Postcards From the Edge again in memoriam.